With its waterfall spout styling, this nickel plated bath filler tap makes a beautiful design feature within high quality bathroom design. 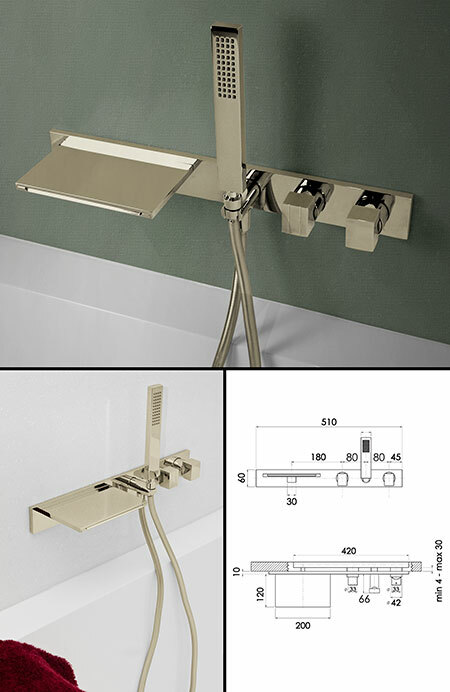 Each nickel tap has a stylish 200mm wide waterfall spout, which is operated via a single mixer tap with a diverter switch, diverting the water flow between the bath spout and a handheld shower head. * Nickel and solid brass. * Brushed and polished nickel finishes.